Stainforth FC recorded the biggest Premier Division win on the opening day of the Doncaster Alliance League campaign, beating Carpenters Arms 8-2. Sam Braun and Michael Wibberley shared the Arms’ consolation goals. Bentley Top Club beat Rum Rooms 4-3 on the back of a Michael Attard double and goals by Ryan Walker and Craig Aspinall. Shea McConville and Martyn Wood were the marksmen as Tut ‘n’ Shive claimed a 2-1 win over FC Glasshouse. Wheatley Hotel also got off the mark at the first time of asking when beating Dunscroft United 2-0. Rossington United drew 2-2 with derby rivals FC Rossington, for whom Thomas Harte and Adam Rowland netted. Championship side Rakkam posted the biggest win of the day when romping to a 13-0 win over Wheatsheaf Armthorpe. Steffan Cairns helped himself to no fewer than eight of the goals with Ethan Austin-Davis and Lee Isaac both hitting a double and Jordan Smith also chipping in. 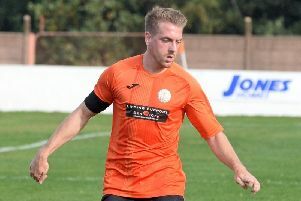 Foresters had to work much harder for the three points in their 1-0 win at Finningley Athletic. Balby Athletic made a losing start going down 2-0 at home to Palfreys Lodge. A Robert Lee hat trick helped Rosehill Press chalk up a 9-3 win at Three Horseshoes. Michael Church and Paul Thompson shared four between them with Arran Jakobsons also getting in on the act. The Railway won 5-1 against Willaspoons (Jack Wright), while Scawthorpe Athletic (Dean Daffin 2, Alex Rennie) and Bessacarr, for whom Stan Krco scored all three, battled out a 3-3 draw. Real Bridge (Chris Hanson, Pete Walmsley) kicked off their Division One campaign with a 2-0 win at Armthorpe Village. Carcroft Village lost by the odd goal in seven at Athletico Fairway. Sporting Wadworth kicked off with a 6-2 win at Bentley West End S&S. FC Cumberland (Karl Blanshard, Craig Atkins, Tom Lowes) also made a winning start (3-2) against AFC Schoolboy, whose consolation goals were shared by Bullock and Stephenson. Auckley put Ivanhoe (5-1) to the sword. Oliver Langton led the way with a hat trick with Steve Richardson and Dickson Agebo also finding the net. Rossington Styrrup beat Askern-based White Hart 6-1. AFC Balby (Craig Pearson 2, Liam Priest) and The Salutation (Andy McMahon 2, Ricky Simpson) shared the spoils from their 3-3 Division Two draw. Balby Rovers and All Saints (Kyle Gilsenan-Lewis 2, George Kidd) also shared six goals, with Pit Club (Liam Redmile, Karl Dewsnap) and newcomers South Kirkby RAF also having to settle for a point apiece after drawing 2-2. New Cantley, for whom Michael Farrow, David Fairweather and Jonathan Bailey shared the goals, won 3-0 at Stag Inn Rovers. A Sam Corner brace secured Woodfield a 2-1 win over visiting Durban. FC Wheatley Hills failed to take the wind out of Windmill’s sails, going down 9-0.